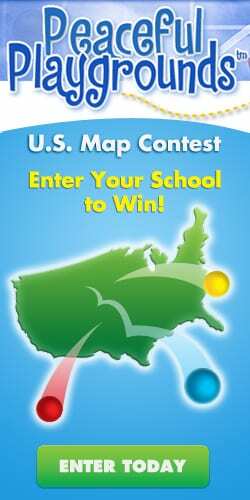 Enter your school today in the “Learn to Play” U.S. Playground Map Stencil Giveaway. 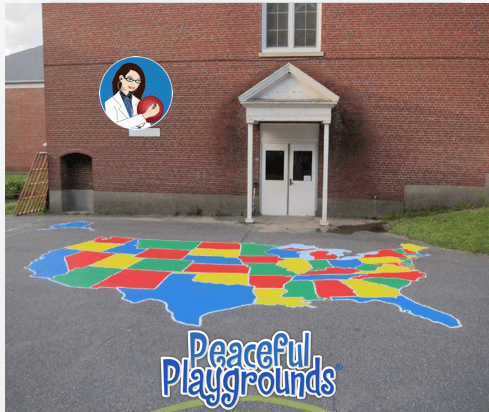 The beautiful geographically and proportionately accurate educational map stencil is 16 feet by 27 feet and extends the classroom curriculum to recess and outdoor play. 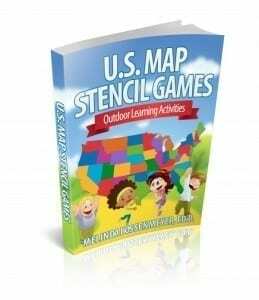 History and geography come alive with the games and activities included in the stencil set. Every Quarter we will be having a drawing to choose a winner. Winning schools will learn how recess can be transformed with playground markings from Peaceful Playgrounds. There is no purchase necessary. Just make sure that you’re over 18 and your principal approves of the contest rules. NO PURCHASE NECESSARY TO ENTER OR WIN. Eligible participants from U.S. only. Void where prohibited or restricted by law. Giveaway is open to U.S. residents only. All entries information becomes the property of Peaceful Playgrounds, Inc. and will not be acknowledged. 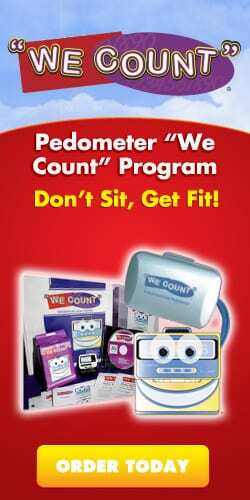 Watch web site for winning schools which will be selected quarterly. If applicable, the school or organization winner will be responsible for all applicable federal, state and local taxes associated with the Giveaway and may be required to complete a W9. Winner’s school or organization must: (i) be an elementary or middle school, grades K through 9, (public or not-for-profit private) and/or an after-school community-based 501(c)(3) organization; (ii) must use the prize for application to the above stated winning school or organization. Principal’s commitment to map installation required. Get approval of the school principal to enter. Fill out the online entry form including Your name, school name, principal name, school address, city, state, zip code, school website, email contact and phone number. Faxed entries or entries by email will not be accepted. Use the online entry form to submit. Monthly drawing to take place by the 15th of each month. 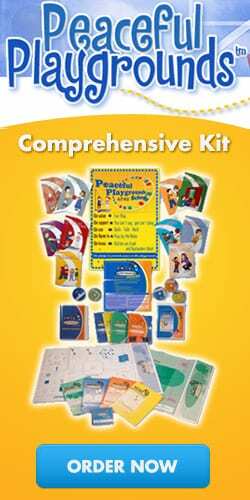 Peaceful Playgrounds, Inc. reserves the right at their sole discretion to cancel, terminate, modify or suspend the Learn to Play U.S. Playground Map Giveaway at the conclusion of any quarter drawing. If such cancellation, termination, modification or suspension should occur, notice will be posted on the website. All Potential Winners will be notified via telephone or by or email within 48 hours of the Quarterly Drawing Date. If the Potential Winner cannot be reached during such 48 hour period, that Potential Winner will be disqualified and an Alternate Winner will be selected at random from among all of the remaining eligible entries. ELIGIBILITY: Winners must prove eligibility. The school or organization will be responsible for all applicable federal, state and local taxes associated with the Prize when applicable. Winning school/organization will be required within five (5) business days of Winner’s notification to (a) provide proof of 501 (c)(3) or public or not-for-profit private school; (b) sign a release (i) relieving Sponsors from any liability, claims, demands, and cause of action for personal injury or death, and/or damage, theft, or loss suffered in connection with this Giveaway or the acceptance, receipt, possession, use and/or misuse of the prizes or any portion thereof; and (ii) where permitted by law, Peaceful Playgrounds the right to use the School/Organization for advertising and publicity purposes without additional compensation; (c) principal must sign an affidavit of eligibility and compliance with official rules; and (d) sign or provide all legal documents which Peaceful Playgrounds may require (if applicable, a W-9 tax form). You might be the next winner. Good Luck! This geographically and proportionately accurate map of the United States is easy to apply and can be painted by four adults and 10 children in three hours. This affordable, high quality, eight section single-use paper stencil has holes which define detailed borders of the 50 states and the five Great Lakes. Scale 1 foot = 100 miles. 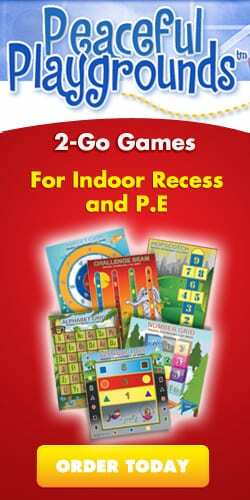 Encourages Educational Classroom Projects in History, Economics, Geography and Politics. You do not need to re-apply. Your entry will be entered in the next drawing.